Let us help you outfit your whole class by placing a group order. We take the headache out of the training uniform (no more mis-matched colors or designs. Your class will have that professional look that inspires confidence in the students and those watching your rotations. 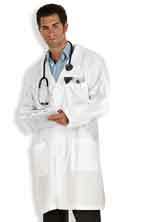 We can ship from size Small to 5 Extra Large scrub tops and/or sets usually within a week and half. You can even mix scrub tops and scrub bottoms to match your school colors. Have the student's name embroidered over the pocket, ready for the first day of the class! Ask us about complete student kits with tools and uniform packages. 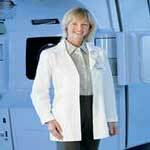 Womens Labcoats that fit you right!